In this sixth episode of the MySQL Security series, we will see how data-at-rest encryption helps organizations implement stronger security controls and satisfy regulatory compliance. You will be able to protect the privacy of your information, prevent data breaches and help meet popular regulatory requirements including GDPR, PCI DSS, HIPAA with MySQL Enterprise Transparent Data Encryption aka TDE. keyring_file : that stores keyring data in a file local to the server host. Available in all MySQL distributions. keyring_encrypted_file : that stores keyring data in an encrypted file local to the server host. 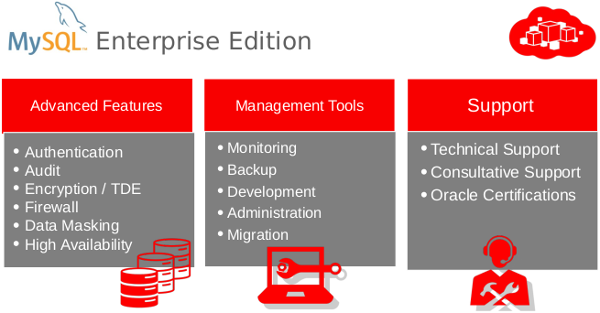 Available in MySQL Enterprise Edition. keyring_okv : a KMIP 1.1 plugin for use with KMIP-compatible backend keyring storage products such as Oracle Key Vault and Gemalto SafeNet KeySecure Appliance. Available in MySQL Enterprise Edition. keyring_aws : that communicates with the Amazon Web Services Key Management Service for key generation and uses a local file for key storage. Available in MySQL Enterprise Edition. In this article I’ll use the keyring_encrypted_file plugin with MySQL Enterprise Edition 5.7.21. The keyring_file and keyring_encrypted_file plugins for encryption key management are not intended as a regulatory compliance solution. Security standards such as PCI, FIPS, and others require use of key management systems to secure, manage, and protect encryption keys in key vaults or hardware security modules (HSMs). These keyring plugins would be use with MySQL Enterprise Audit to store the audit log file encryption password (you can read my previous article) and InnoDB tables when encrypted with MySQL Enterprise Transparent Data Encryption, actually the topic of this article but you already know that, right? :). Like I stated before many keyring plugins are available and I’ll use the keyring plugin : keyring_encrypted_file, that stores keyring data in an encrypted file local to the server host. To be usable during the server startup process, keyring_encrypted_file must be loaded using the early-plugin-load option. To specify the password for encrypting the keyring data file, set the keyring_encrypted_file_password system variable. The keyring_encrypted_file_data system variable optionally configures the location of the file used by the keyring_encrypted_file plugin for data storage. 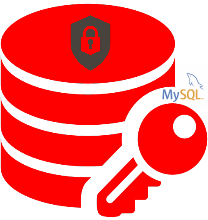 Because the my.cnf file stores a password when written as shown, it should have a restrictive mode and be accessible only to the account used to run the MySQL server. After a keyring plugin is configured, InnoDB tables may be encrypted. InnoDB supports data encryption for InnoDB tables stored in file-per-table tablespaces. I’m using Sakila Database, available here. Usually it is not necessary to encrypt all the tables. After a deep data analysis let’s assume 2 relevant InnoDB tables must be encrypted : customer and staff. So let’s encrypted these tables! Plan appropriately when altering an existing table with the ENCRYPTION option. ALTER TABLE … ENCRYPTION operations rebuild the table using ALGORITHM=COPY. ALGORITHM=INPLACE is not supported. Transparent Data Encryption means transparent for the clients ie no change in your applications. Legal and regulatory requirements require a periodically rotation of the master encryption key. It’s also more than recommended to rotate the master key whenever you suspect a security breach. Rotating the master encryption key only changes the master encryption key and re-encrypts tablespace keys. I would like to address a last item, regarding a common customer question about the disk footprint of an encrypted table. So let’s play a little bit more with TDE.